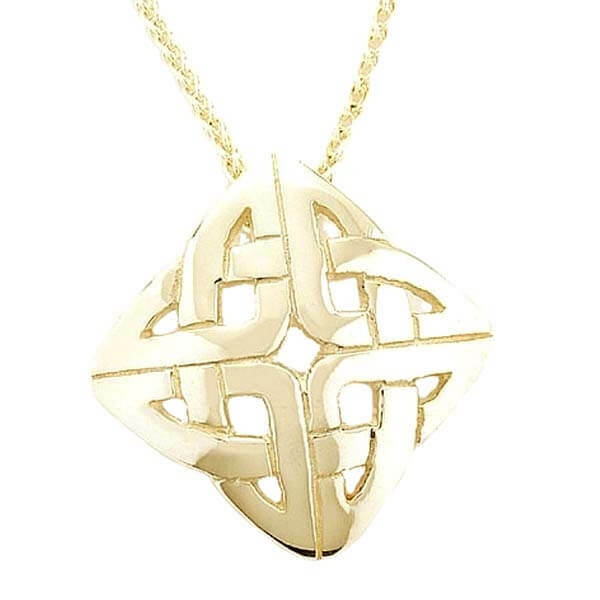 As with all Celtic knot pendants, this square or shield knot pendant displays no beginning or end. These types of knots were thought to protect people from danger and ward off evil spirits. 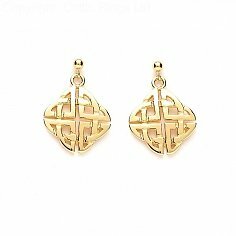 Moreover, some historians equate square knots as a mark of loyalty. Whichever meaning you prefer, this intrinsic component of Celtic art and culture translates beautifully into a versatile, modern piece of jewelry. Cast with precision by our craftsmen, this pendant is available in Sterling silver, 10k and 14k yellow gold and 14k white gold. Service rating : It did seem to take a long time for my order to arrive but was worth the wait. 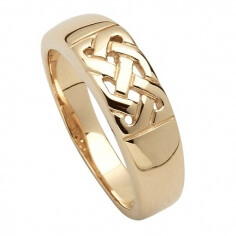 Product : A very beautiful piece of jewellery, good value. I'm sure my grand-daughter will love it.